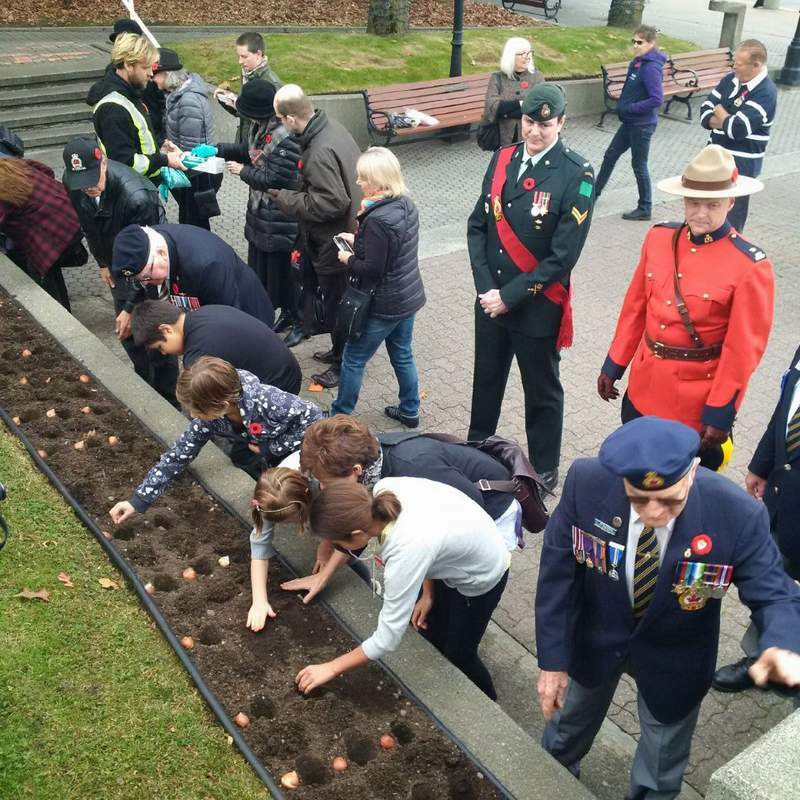 Nanaimo is the lucky recipient of one of 140, 70th Anniversary Dutch-Canadian Friendship Tulip Gardens being distributed across Canada in celebration of the first gift of 100,000 Dutch tulip bulbs sent to Canadians in 1945 as a symbol of appreciation for the role Canadian soldiers played in the liberation of the Netherlands and the hospitality Canada provided to the Dutch Royal Family in Ottawa during WWII. Veterans, school children and the public are invited to attend the planting ceremony on Wednesday, November 4 at 1:00 pm where the story of the Dutch princess born in Ottawa during WWII and the history of the enduring friendship bond between Canada and the Netherlands will be retold so that it may live on for future generations. The City of Nanaimo would like to thank all those who make this program possible: Canadian Garden Council, Vesey’s Bulbs, Canada Post, National Capital Commission, Canadian Tulip Festival, Canadian Nursery Landscape Association, Garden Making magazine, Chimpanzee, Baxter Travel Media, Enterprise Canada, Gardens BC, Québec Gardens’ Association and the Ontario Garden Tourism Coalition.